Starting next Monday and running for a fortnight, the ECN blog will be featuring a series of extracts from the advice manuals, diaries, memoirs, and novels of several Edwardian female horticulturalists. While there had been a lengthy history of amateur female gardeners and botanists, it was not until the very end of the nineteenth century that women were finally admitted to the ranks of professional horticulturalists. In 1891 the Horticultural College, Swanley, began to admit women, becoming a female-only College in 1903; six years later Ellen Willmott (1858-1934) and Gertrude Jekyll (1843-1932) became the first women to win the Royal Horticultural Society’s prestigious Victoria Medal of Honour. It was during the Edwardian period that there emerged a distinct tradition of female-authored publications about gardening. 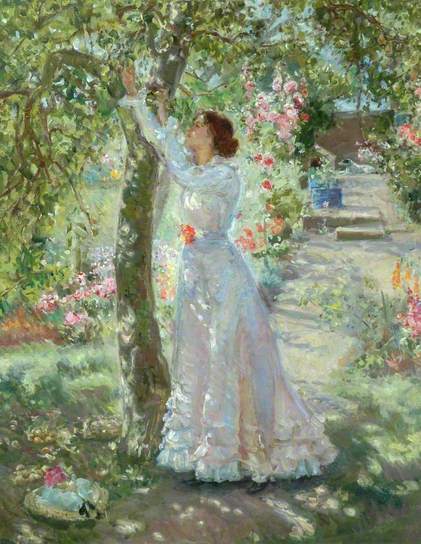 According to Deborah Kelloway, ‘before 1895 no important gardening manuals had been written by women’: it took Alicia Amherst’s influential A History of Gardening in England (1895) to pave the way for writers as diverse as Elizabeth Von Arnim (1866-1941), Theresa Earle (1836-1925), and Gertrude Jekyll to set down the trowel and begin describing their knowledge and experiences on paper. Rich and varied in style, preoccupation, and tone, these extracts provide a marvelous glimpse into the professional and private lives of these pioneering Edwardian women. Donald L. Opitz, ‘“A Triumph of Brains over Brute”: Women and Science at the Horticultural College, Swanley, 1890–1910’, Isis, Vol. 104, No. 1 (March 2013), pp. 30-62; Deborah Kellaway (ed. ), The Virago Book of Women Gardeners, London: Virago Press Ltd., 1995, pp. xv. Kellaway (ed. ), Women Gardeners, pp. x-xii. This year will see the anniversary of the outbreak of what H. G. Wells optimistically hoped would be ‘The War that Will End War’. When the Lamps Went Out is a conference that seeks to take a snapshot of the literary, political and social landscape at the end of the ‘long nineteenth century’ and the dawn of the First World War. We welcome papers on Wells’s Edwardian and early twentieth-century work, on his political and discussion novels, and/or on his journalistic, political, utopian and wargaming writing, and on the legacies of the nineteenth century in the early twentieth. We also invite papers on connections with the writers and people of significance from Wells’s circle in this period: such figures may include (but need not be confined to): Elizabeth von Arnim, Arnold Bennett, Edward Carpenter, G. K Chesterton, Joseph Conrad, Ford Madox Ford, John Galsworthy, Alfred Harmsworth, Violet Hunt, Vernon Lee, C. F. G Masterman, E. Nesbit, Amber Reeves, Dorothy Richardson, Elizabeth Robins, Robert Ross, Bertrand Russell, George Bernard Shaw, Frederick Soddy, Beatrice and Sidney Webb, Rebecca West… We especially welcome proposals for papers on Wells, gender, sexuality and marriage. When the Lamps Went Out is a collaboration between Durham University Centre for Nineteenth-Century Studies, the H. G. Wells Society and the Edwardian Culture Network. Attendance fee is: H G Wells Society members: unwaged £20, waged £30; non-Members: unwaged £25, waged £35. 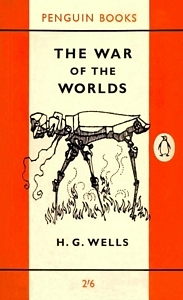 The Wells Society can be joined at:http://www.hgwellsusa.50megs.com/. This conference also marks the launch of the exhibition Books for Boys: Heroism, Empire and Adventure at the Dawn of the First World War. 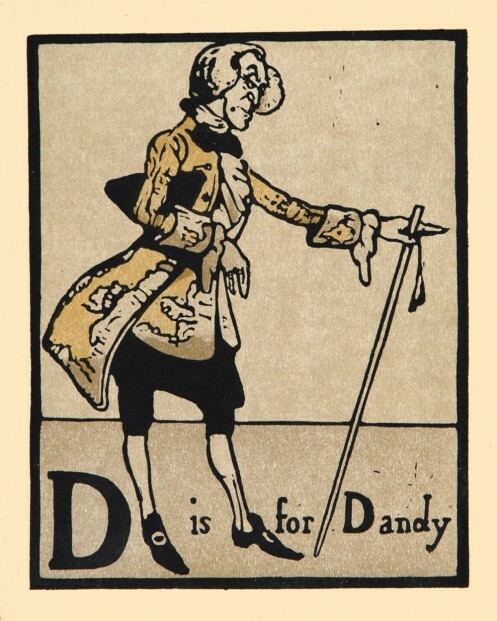 Books for Boys tells the story of Britain and Germany in the years leading up to the Great War through showing what the public enjoyed reading.The exhibition will also display late-Victorian and Edwardian maps, toys, uniforms, photographs, pictures, medals, literary memorabilia and other artefacts and ephemera. Conference delegates will be invited to a private view of the exhibition on the evening preceding the conference. As I closed the book at 7 in the morning after the shortest sleepless night of my experience a thought passed through my head that I knew pretty well my “Bennett militant” and that, not to be too complimentary, he was a pretty good hand at it; but that there I had “Bennett triumphant” without any doubt whatever. A memorable night. 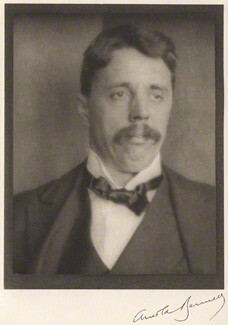 Conrad was one of many contemporaries who recognised Arnold Bennett as one of the most assured and influential writers of his generation. At once both a commercially-successful and an experimental writer, Bennett’s range encompassed commercial fiction and naturalism, self-help books and short stories, journalism and science-fiction. ‘Arnold Bennett and His Circle’ will seek to present Bennett as an icon of the Edwardian age, fundamental to our understanding of the period, and a writer whose work needs to be considered specifically in an Edwardian context.